The following is an example of a 6x6 Post Cap installation, but is the same for any Slim Profile, Estate or Plateau series post cap. Step 1. Attach the base of the post cap to the wooden post in the proper direction. The two supports should be on the top side of the fence post cap base. The bottom of the post cap base is smaller than the top of the post cap. 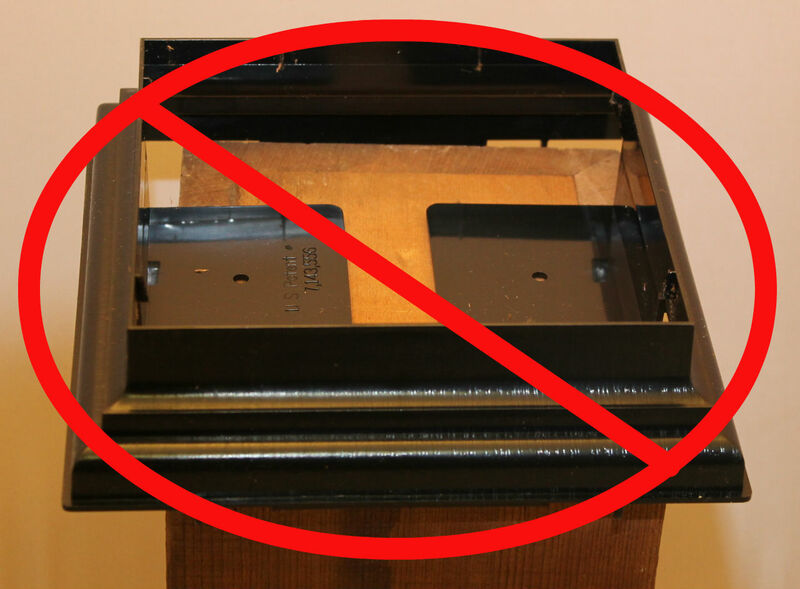 If the top of the post cap will not snap securely onto the base, you may have the post cap in the wrong orientation. Step 2. 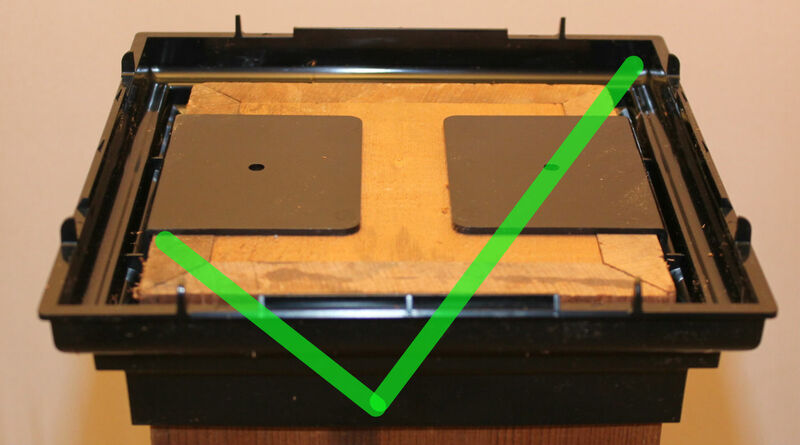 Once the post cap is on the fit snugly to the wood post, attach the post cap to the wooden post via the pre-drilled holes on each of the cap supports. We highly suggest using anti-rust screws to ensure a lasting, no-hassle attachment. 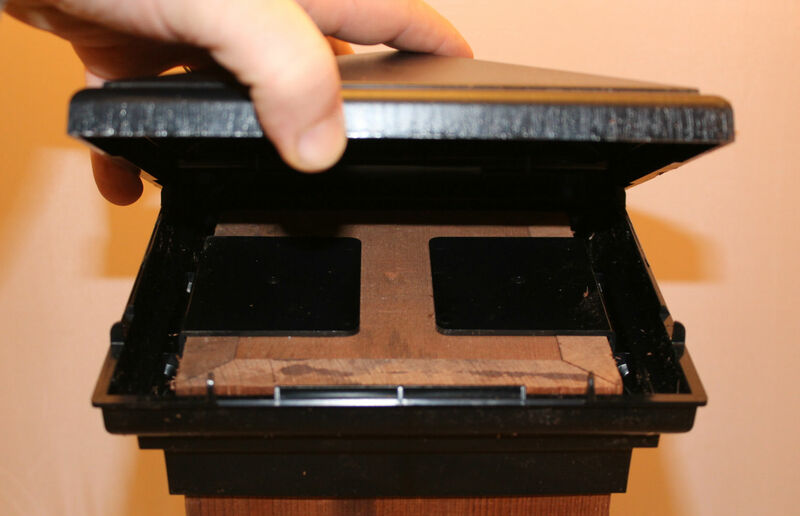 Step 3: Align the top of the post cap over the secured base and press firmly until the cap 'SNAPS' into place. 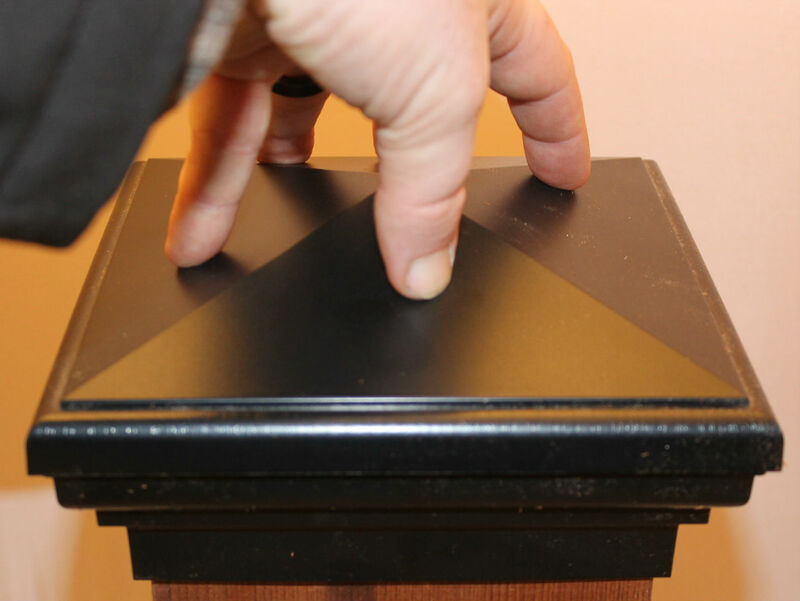 The top of the base should be firmly secure and will withstand even the harshest of weather and wind without becoming loose. 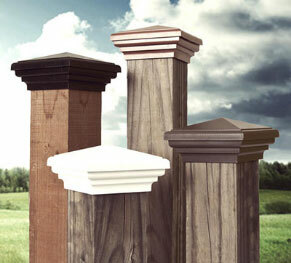 Your fence post caps are now installed, and offer a decorative finish, while serving to protect your fence or deck from wood rot and premature weathering for many years. We hope that our post caps are something that will beautify your landscape, but otherwise something that you never have to think about again! We manufacture our ASA Resin post caps to exacting standards and hope that you will love them as much as we do.